WICHITA, KS—Expressing their displeasure that the Supreme Court nominee had failed to warn them about a factor that could harm his candidacy, the Koch brothers were reportedly furious Monday that Brett Kavanaugh never disclosed that the nation might care about sexual abuse. “When we agreed to spend millions of dollars toward his confirmation, we never believed Kavanaugh would’ve withheld important information from us like the fact that being a sexual predator could someday have consequences,” said an angry Charles Koch, adding that his advocacy group, Americans for Prosperity, would not have committed money to supporting Kavanaugh if he had come clean about the recent shift in America’s societal conscience that held some men credibly accused of sexual misconduct accountable for their actions. 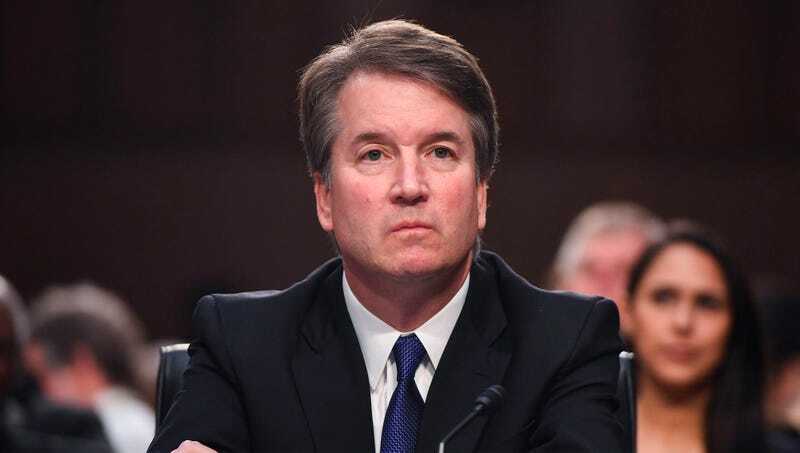 “Look, we’ve been building up Kavanaugh’s resume and qualifications for decades, and not once did he make any sort of suggestion that committing a nonconsensual sexual act on another person could be a problem in the United States. We would have never put him on our shortlist for the nation’s highest court if we knew the American people would ever pay attention to this or that it could have any adverse effect.” The Koch brothers added that they were already putting a more strenuous vetting process into place, stating that they were now asking candidates if the nation would ever care about racism.